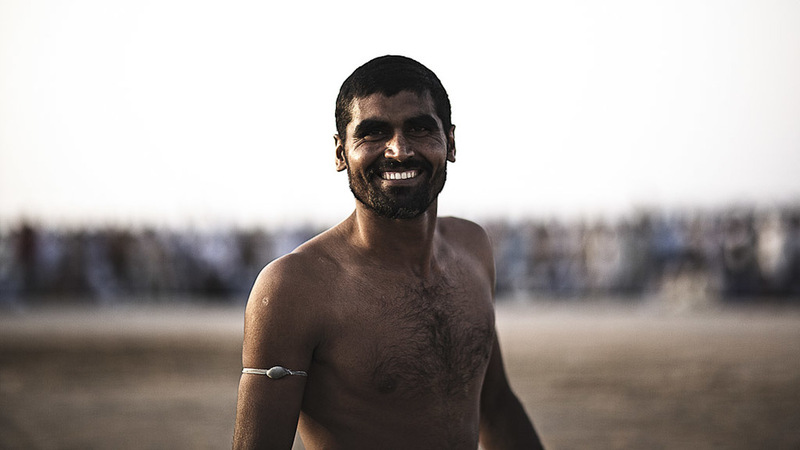 I took these photos some years ago by the creek in Dubai. 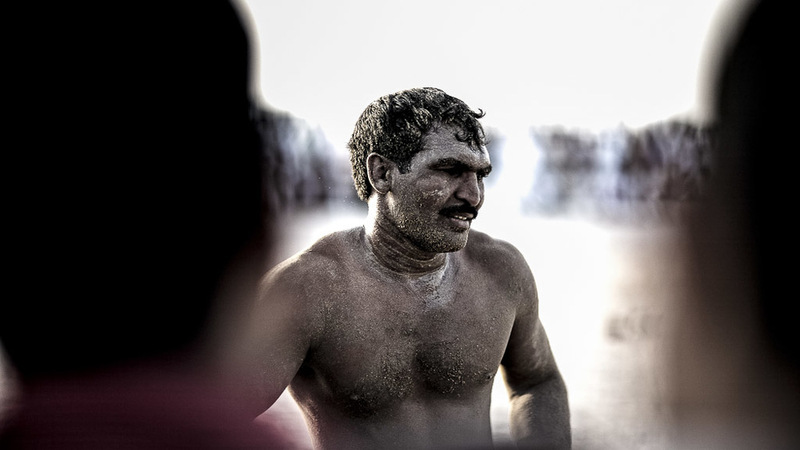 Kushti wrestling is a traditional Indian wrestling, that dates back centuries. 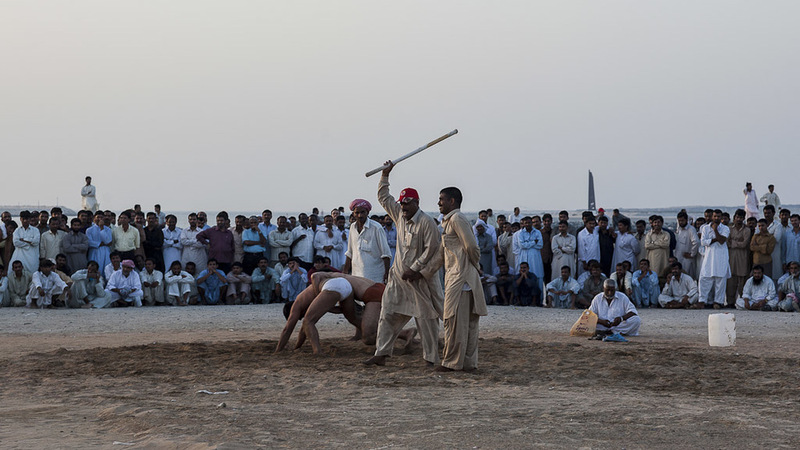 In Dubai, construction workers from the sub-continent used to gather to wrestle for money by the creek, and as you can see, the audiences were quite large! 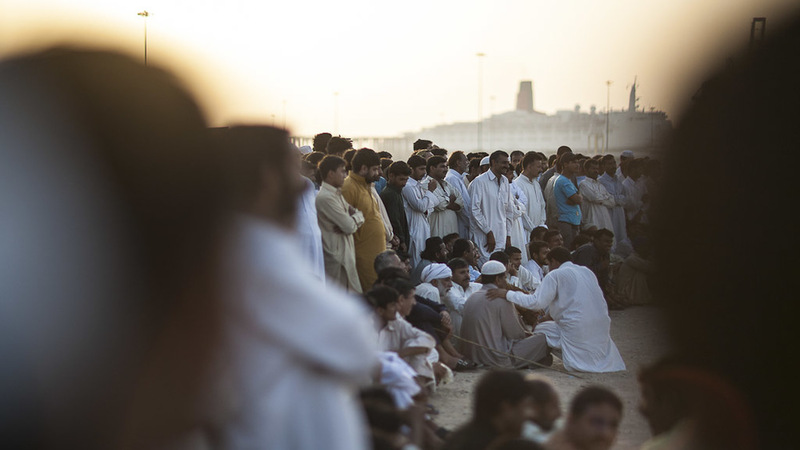 As of today, the Dubai authorities have banned these impromptu gatherings, but I was lucky to be in one of them.